La compositions de calques qui couvre les modes d’opacité et de fusion et Appliquer un masque sur un calque. When compositing layers of video together in VDMX or another VJ application, one of the standard techniques for combining images is the use of “masking images” which black out parts of an image by setting its transparency (alpha channel) to less than 1.0, allowing it to in front of content behind it instead of simply blending the two together. This template is a variation on the technique described in the four channel mixer example in which we have two groups of layers (left and right bus) set up making it possible to preview and transition between mixes on the fly. Here the idea is similar, but instead of two mixes that use separate sets of clips, in this template each bus shares the same set of four clips, each with different controls for layer opacity, FX and blend modes. For an added twist, the four source for this template is used as a mask overlay for each bus that can be used in a variety of ways to combine the two separate mixes together in the main output. In this video tutorial we quickly go through the design of this template and how it can be used to mix two movie clips along with an audio reactive or LFO driven Quartz Composer composition as an overlay or mask. 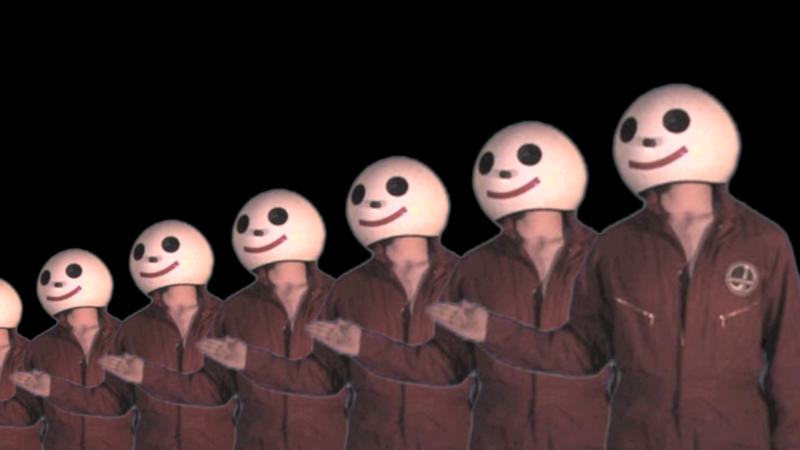 Chroma Keying is an image effects technique for compositing multiple video streams on top of each by applying a hue based masked to the foreground images. Commonly a blue or green screen is used in production for these purposes. Within VDMX, using the 'Chroma Mask' FX on a layer will create a color-based mask that is applied within the FX-chain. Pixels in the input that are within the tolerance range are set to become transparent through the usage of alpha channels.